Nitrocarburizing, by definition, is a thermochemical treatment that is applied to a ferrous object in order to produce surface enrichment in nitrogen and carbon which in turn form a compound layer. The composition, function and control of the furnace atmosphere are of crucial importance for the result of all hardening and thermochemical operations. The composition, function and control of the furnace atmosphere are of crucial importance for the result of all hardening and thermochemical operations. The purpose of nitrocarburizing is to improve wear, corrosion and fatigue resistance of constructional parts. 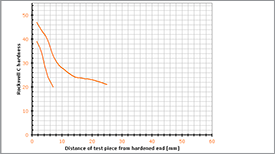 These improvements can be understood when looking at the surface microstructure and hardness after treatment, Figure 1. 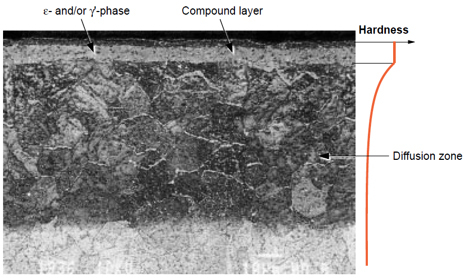 Figure 1:This micrograph shows both the compound layer and the underlying diffusion zone (darker region) in a nitrocarburized 5 % Cr tool steel (2h/580°C). The compound layer consists here of only e-phase with a thin, outer, porous zone. Scanning electron micrograph (SEM) magnification about 700 times. 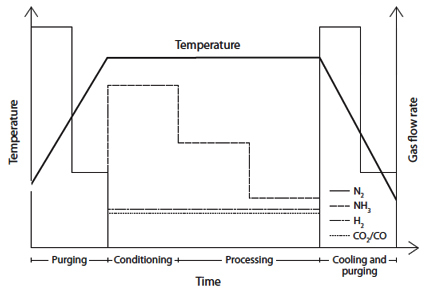 The nitrocarburizing process consists of three principal steps: heating, diffusion at the nitrocarburizing temperature and cooling. Pre-heating to accelerate the nitrocarburizing process and post-oxidation to improve corrosion resistance are optional steps. 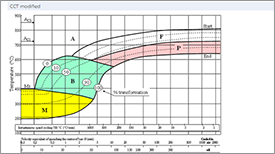 Ferritic nitrocarburizing in gas is commonly carried out at temperatures ranging from 560 to 580°C. 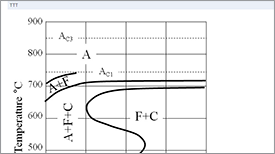 As mentioned above, the composition of the atmosphere is a very important parameter in gaseous nitrocarburizing and needs to be closely controlled. The atmosphere consists of nitrogen (N2), ammonia (NH3), carbon dioxide (CO2) and hydrogen (H2). Ammonia is used as source of nitrogen. Carbon dioxide decomposes into carbon monoxide which together with hydrogen is needed for the transfer of carbon to the steel surface. Sometimes carbon monoxide is used directly instead of carbon dioxide. Hydrogen is not always added separately as it forms from the decomposition of ammonia. Nitrogen is used to control the percentage of the other gases and for purging the furnace before and after treatment as ammonia can form an explosive mixture with oxygen. 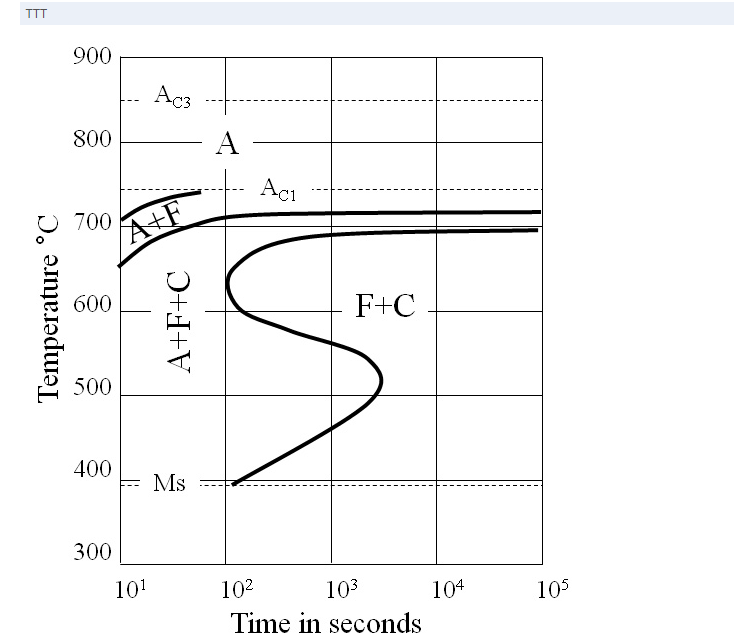 The flow rate of different gases in each process step are plotted in Figure 2. Figure 2:Gas ratio per process step. Nitrocarburizing is widely applied in manufacturing of machine components and tools, since improved surface hardness, fatigue strength and corrosion resistance at elevated temperatures are achieved at minimal distortion. Thus, the service life of a part is significantly extended. Moreover, corrosion nonresistant steel grades gain an enhanced corrosion resistance due to the established compound zone. 5. F. Cajner, D. Landek, E, Stupnišek Lisac: Improvement of properties of steels applying salt bath nitrocarburizing with post-oxydation, MTAEC9, Materiali in Tehnologije, 37, 2003, 6, p.333-339, ISSN 1580-2949. 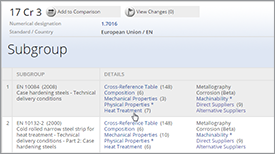 Heat treatment diagrams are available for a huge number of materials in the Total Materia database. 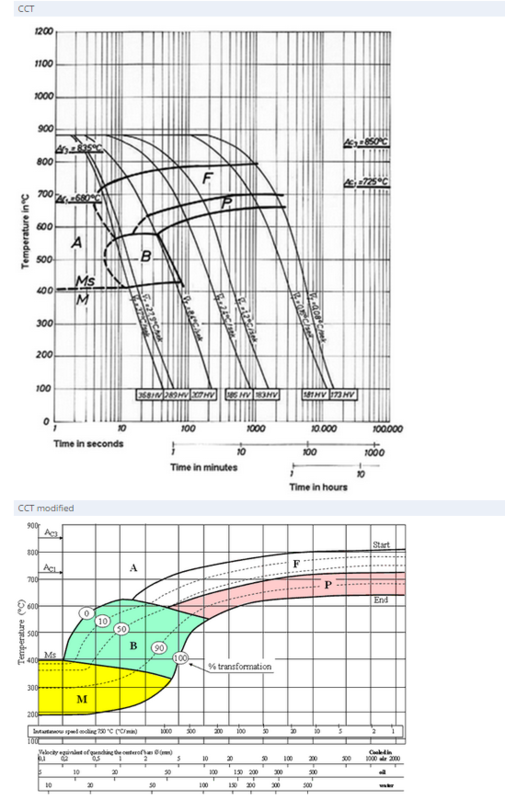 Heat treatment diagrams covering hardenability, hardness tempering, TTT and CCT can all be found in the standard dataset. 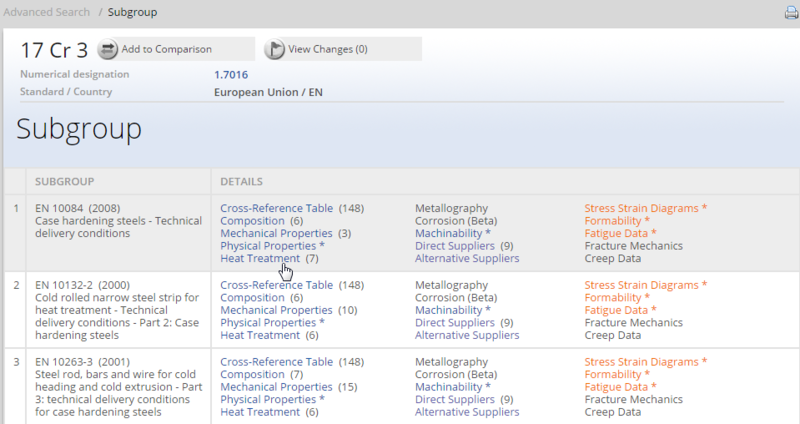 To select materials by special properties, you can use the special search check boxes in the Advanced Search module. 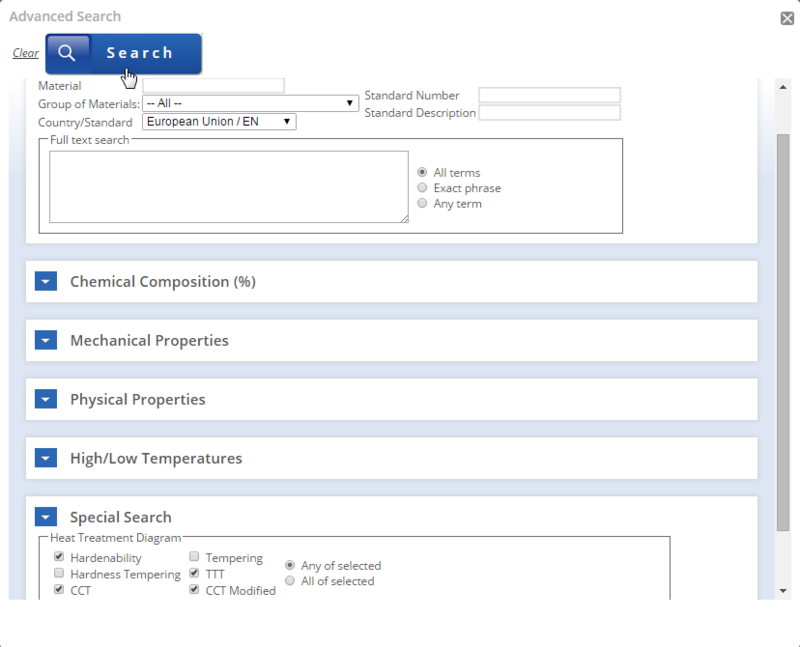 To define the search criteria, all you have to do is select the country/standard of interest to you from the ‘Country/Standard’ pop-up list and to check ‘Heat Treatment Diagram’ box, situated in the Special Search area of the form in the lower part of the Advanced Search page. 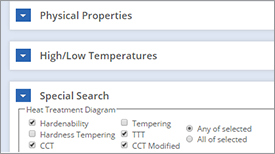 After selecting the material of interest to you, click on the Heat Treatment link to view data for the selected material. The number of heat treatment records is displayed in brackets next to the link. 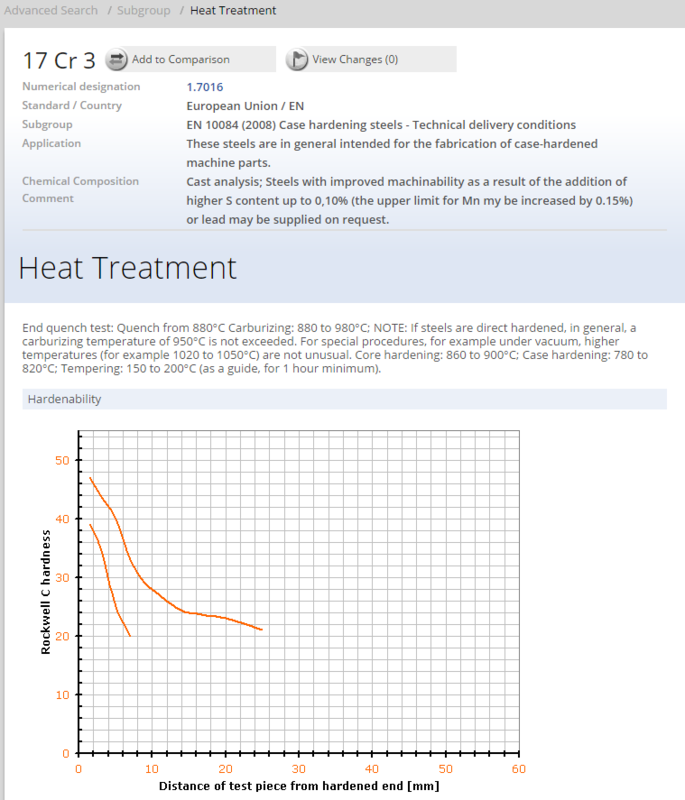 All available heat treatment information will then be displayed for the chosen material.